WARNING! Some reviews may contain spoiler. Think twice before reading them. NB: PLEASE do not tell who is the killer in reviews! You can break other people fun with it! Thanks in advance! Welcome to the much anticipated Second Episode, it won’t be possible not to release it after success of the first part. – The plot is more complicated. Everything is not so obvious now. – Some parallel stories, but only one will lead to the killer. – Pictures from the scene, can be studied with a magnifying glass. This is not a standard game “find the hidden object”, each piece of evidence is important for further investigation. 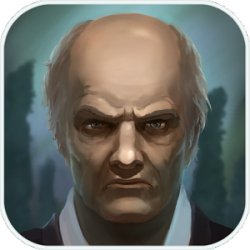 – The main game with words is changed, because many players found it boring. – Two beautiful melodies and the rain outside, reinforce oppressive atmosphere. 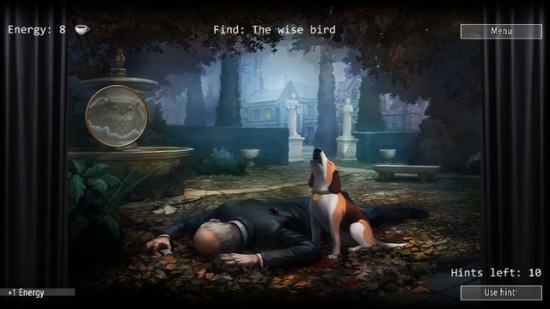 This original game is based on classical english detective rules in the tradition of Sherlock Holmes. Everyday someone dies and you need to figure out who is the killer using the logic. Everybody has a common mystery story of the past. Everybody could have a motive to do this. And you have only seven days to stop the murderer. Visit it to find how to gain additional Energy in game every day! NOTE! All Episodes support English, Russian and German languages.